Turbo Realty and Danny Frank, The 2012 HAR.com Chair-Elect, and The Pearland Real Estate Expert Join Forces. 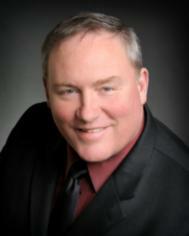 Danny has joined forces with Chris Schilling, Turbo Realty. With the move to Turbo Realty, Danny Frank will help grow Turbo Realty with a new plan for local agents. Both Chris and Danny are experts in the field of technology and real estate technology. The team at Turbo will focus on getting listing SOLD in a HURRY and helping buyers find the right house for their needs. Call Danny Frank at 713-581-4702 to find out about the “Sell Your Home Guarantee” or to schedule an appointment to visit any home for sale in the greater Houston / Galveston area. Call Danny Frank, at 713-581-4702 to find out how you can become part of Turbo Realty.